Are you someone who is wondering about how you could get those improved displays in the search engine ranking pages? Since rich snippets were launched way back in 2009, they have served the role of a sneak preview of Google search results, thereby adding more information and details to the search listing which helps the searches to find what exactly they’re looking for. Depending on the content of the page, the extra detail could include customer reviews, site navigation breadcrumbs, movie and TV information and so on. By using schema.org to mark up webpages, webmasters can help their websites to become eligible to display snippets. Here are the facts that you need to know. 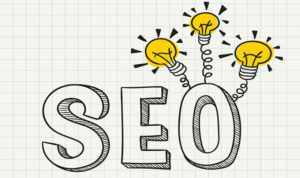 The rich cards of Google are usually presented as a step forward for the snippets or the next step to evolution. However, they’re something different within a different place within the SEO ecosystem. Rich snippets and rich card both use structured data markup to produce improved displays in SERP and presenting content in a page in a better and meaningful way for the Google search users. But that doesn’t mean that the functions and roles are identical. Though it has been said that structured markup may one day become a factor in ranking algorithm, Google made it pretty clear that rich snippets don’t directly have any impact on site rankings. But it can definitely generate indirect SEO advantages by making your webpage easily indexed and offers more targeted metadata. On-page behavioral data can be believed to have a great impact on search engine rankings, hence the more targeted and qualified traffic you get, the better it will be. Google loves structured data a lot and it loves it so much that it doesn’t leave a chance to protect its integrity. Google is pretty clear about where exactly it stands, not only will they disable snippets which are created; they may even hit your site with manual penalty. Make sure you’re using appropriate kind of structured data markup for the type of content. Rich snippets can therefore offer great visibility when you get your structured data markup right at place. Hence you should ensure that you use the tools which Google gave you to your benefit.